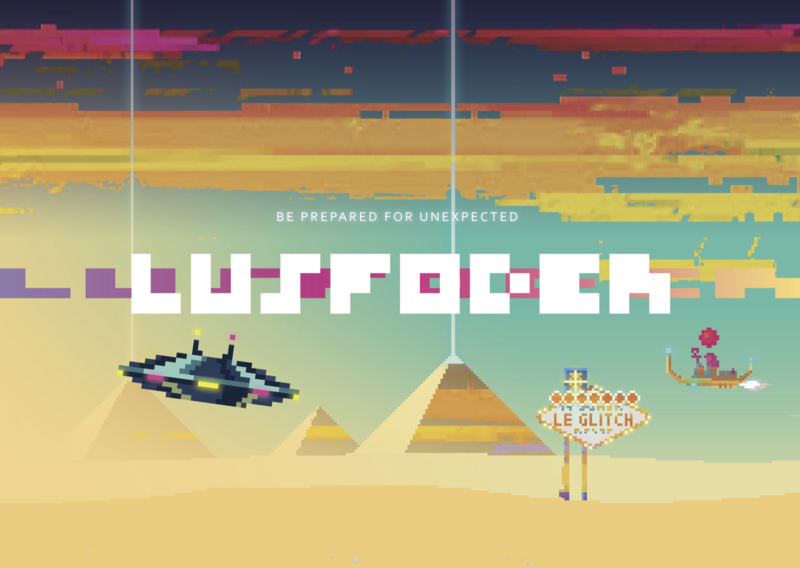 Lusfoder is a new version of endless runner game Lusfod. 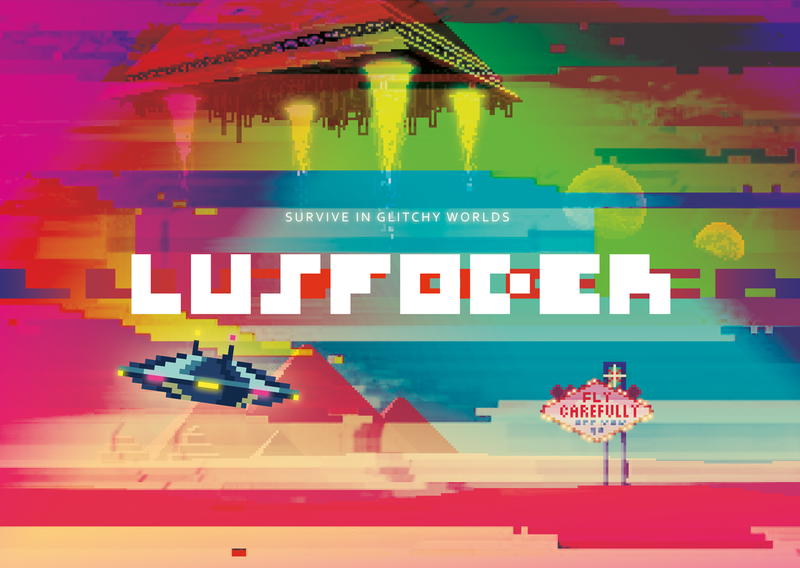 Lusfod is addictive glitchy flash game originally developed and published by Nrjwolf in 2013. In 2014 he joined Dash & Dot game studio and we've decided to make enchanched version of Lusfod as our first game, that we make together. Lusfoder development started at the beginning of 2015 with scheduled release during the fall 2015. 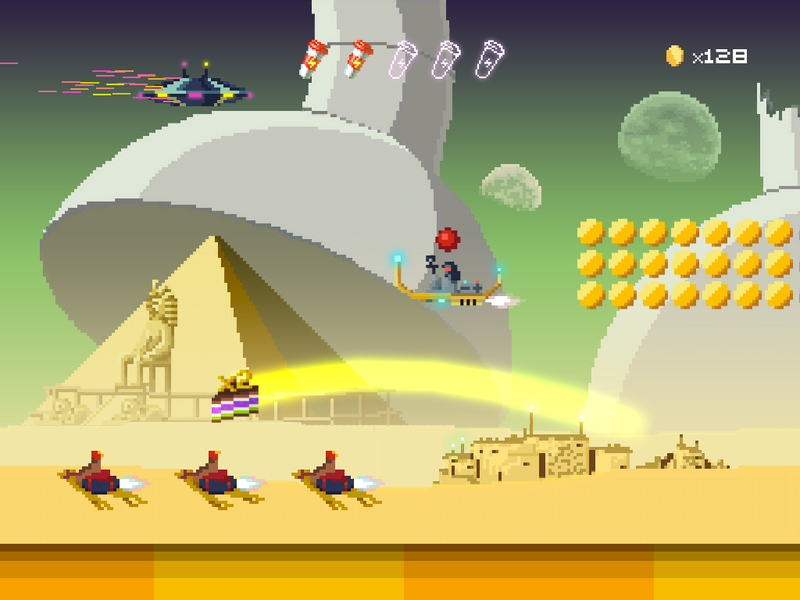 Lusfoder is a remastered flash game Lusfod. New version has revisited visuals, rebalanced gameplay and improved upgrade system. 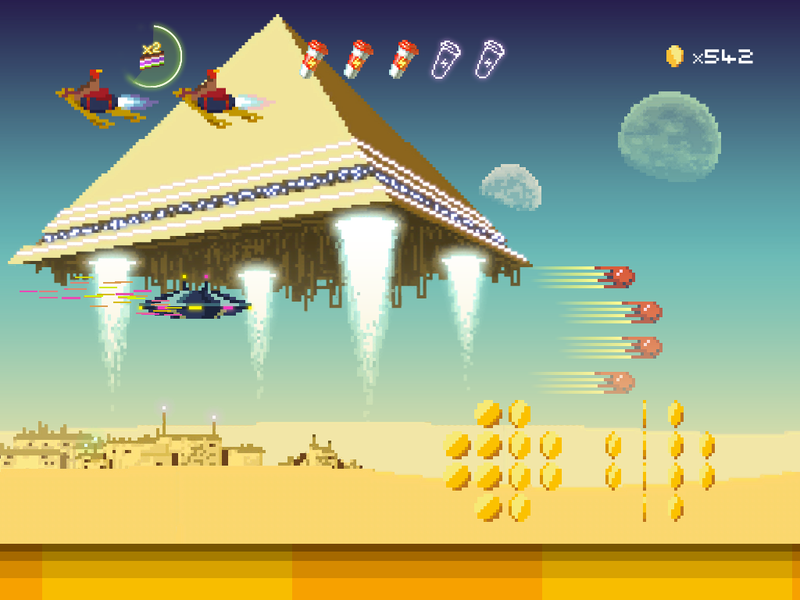 Player in game is a donuts delivery spaceship pilot. 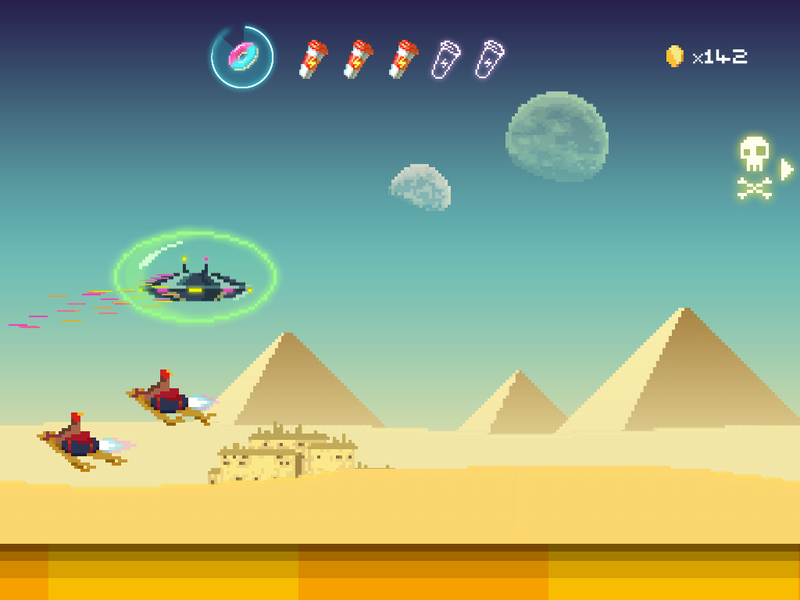 After bumping with legendary space pirates his space ship gained ability to travel between mystery glitchy worlds. This ability is not stable and he sees everything glitching around him. Player's goal is to collect as many coins as possible to progress through the game. There are three types of bonuses (coins magnet, coins multiplier and killing field) and special collectable game object – coffee tumbler. When player collects five tumblers he gets to bonus level populated with coins. After this level, new world is automatically unlocked. If player unlocked all available worlds, he gets to randomly chosen world. Each world has its own visual style of environment and enemies. The only type of enemies that goes through all worlds is space pirates drones. Player gains more extra coins by destroying enemies with safe and killing fields. Each enemy costs different amount of coins depending on its type. 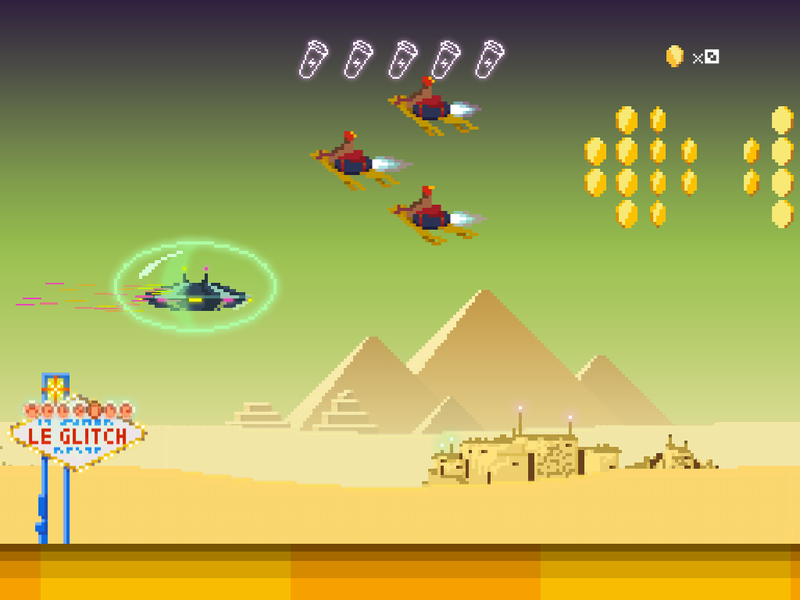 When player destroys certain amount of enemies, he gets to RAGE bonus level. It's demonic world where player faces endless waves of enemies. RAGE mode counter is not reseted between game sessions and this bonus level doesn't occur often. Player can spend collected coins on upgrades and ship's skins. One of the most useful upgrades is increasing bonuses duration. Also, player can gain extra lives, decrease RAGE mode counter and increase bonus level duration. There are far more images available for Lusfoder, but these are the ones we felt would be most useful to you. If you have specific requests, please do contact us! There are currently no logos or icons available for Lusfoder. Check back later for more or contact us for specific requests! "when i get a flower i start screaming thats sorcery"
"o my GOD ! vision trouble after ! But its good game !" " I've barely begun to play and already know I love it. The graphics, the gameplay, even the music - all of it. &br& Fantastic little game." Play original game Lusfod published on Newgrounds games portal. newgrounds.com. Dropbox folder with additional materials (banners and Unity Player video). dropbox.com.